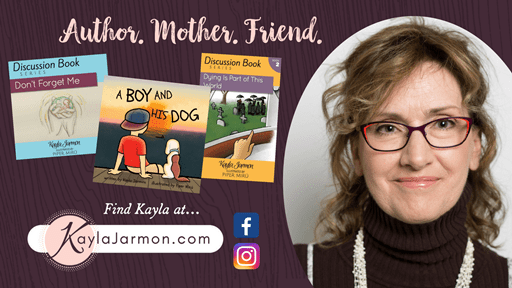 We received three electronic books, A Boy, and His Dog, Dying is Part of This World, and Don’t Forget Me from Kayla Jarmon for our review. You have heard folks say ” A Boy and His Dog! ” This book shows the close friendship and relationship of both. My husband is a dog person really can relate to this and we often have talks about our Dogs and our past pets we have had and loved. This book was so cute! It shows what a sweet loving and fun relationship he has with his dog and how they do everything together, even bath together and the dog even sleeps on his bed. Daniel enjoyed this book, in our home, we have dogs whose names are Baby and Konike. Baby is our Great Pryensse and Konike is our Black Lab/Retriever mix who is chocolate colored. Daniel knows that having a dog means more than just feeding and watering, it comes with expense and responsibility. Dying is Part of This World was sorta a needed thing for us, so getting to read this was very helpful. We lost my Dad a year ago May 25th, on my birthday. This was hard for me, but Daniel came to NY with me and we saw him the day before he passed. Since Daniel has had questions, this made it easier for me to share my belief on this without the worry of my emotions taking over. We could just read this book and talk about death in general. We know that my Dad is in heaven with God and having this book reaffirm this helped us a lot. At the end of each chapter is discussion questions for us to use and talk about. Really great book if your trying to share this with your children and have lost someone close to you. Don’t Forget Me depicts a conversation between God and the Baby through pregnancy and birth. It will bring emotions and maybe even a tear to your eyes, as you are reminded that God is the author and giver of life. A perfect gift for expectant parents and siblings! This book is meant to be used in the Christian Home. The Discussion Book Series encourages great discussions with discussion questions and Scripture references. This book is aimed at family discussion or even a woman’s bible study or teen girls class on marriage and pregnancy! Since Daniel is my baby, I read this one myself. This is the most Thoughtful and Encouraging book. Not just for children but for anyone expecting a baby. It would be a great book to read to your children if you are expecting to share the biblical worldview of God being there from conception, birth and beyond. I loved how it showed the love of God for the child, the love of the mother for her child and also the love of the father for the mother and for the Lord. The illustrations are so sweet and portray just how it is from the womb and it gives a very thoughtful and modest way of showing what happens in birth. This book touched my heart even as a mom who has had many a miscarriage and it really should be in the church and the home. I love the verses in the back of the book that we can use to share God’s word with our children on conception, development, and birth. I really love this book! I hope you will consider these books for your children and your home. Also, consider getting this for your church when it is available in paperback or audio. I would so highly encourage Don’t Forget Me, for a teen group or a pre-marriage class. All of these books are so well illustrated and very well written. You can connect with Kayla on the web at the following socials and on her website. If you would like to read more thoughts on these books just click on the image below and you will be able to go to many more reviews of these wonderful books. This entry was posted in Adults, Baby, Book Reviews, Children, Faith, Health and Wellness, Homeschool, Homeschool Reviews, Parenting, Reviews, Women and tagged Babies, Baby, Biblical View, Birth, Christian Living, Conception, Dads, Family, Fathers, God, Kayla Jarmon, Life, Marriage, Mothers, Parenting, Pregnancy, Womanhood, Womb on May 8, 2018 by Linda Marie Finn. Digital books Review. 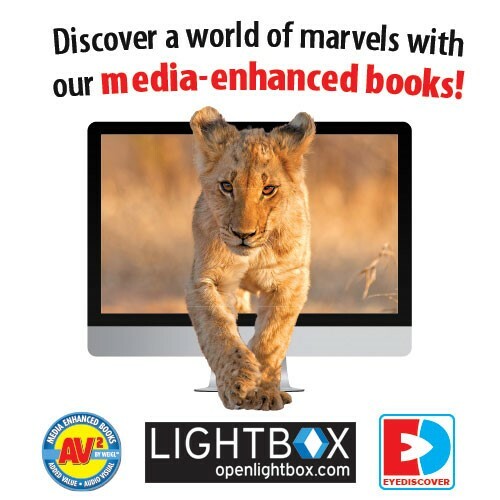 We received three pdf’s and codes for media enhanced books, Glaciers, A Lion’s World, and There Once Was a Cowpoke Who Swallowed an Ant from Weigl Publishers, that we have been enjoying over the last several weeks! I have to tell you they are very captivating! Glaciers from the series “Earth’s Water” published under their imprint Lightbox is intended for a grades 3-6. I think the first thing that caught our attention was the colors and all the details about Glaciers! 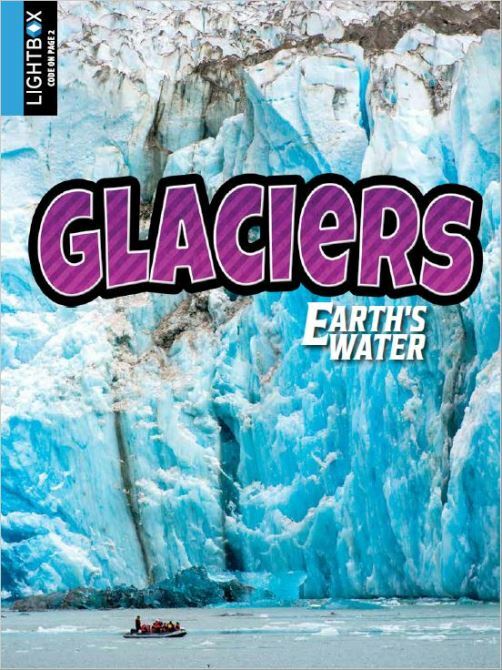 Daniel and I read through Glaciers and used the media version for a more thorough study of Glaciers. This was so nice as there were so many things to see and do. Links to outside websites like DK Find Out online where you can go and learn about the topic your reading and see all kinds of diagrams and enhance your learning. Also in the enhanced media book are links to learning files you can use to find answers while your learning and you can print them out if you desire to use them. The book itself shows a view where you can easily get back to an area your studying about, this helped us to be able to go back for reference while learning. There are also links to video clips to watch and they are very nice for learning and getting a feel for what it is really like when one of the glaciers decides to melt and come apart. It is just so amazing to watch and learn about them. We also read A Lions World and There once was a Cowpoke who swallowed an Ant. Although they were a bit below Daniels reading level they were very colorful and entertaining to read. You can also use the feature to allow the books to be read to younger children who are not reading yet or not as fluent in their reading ability. 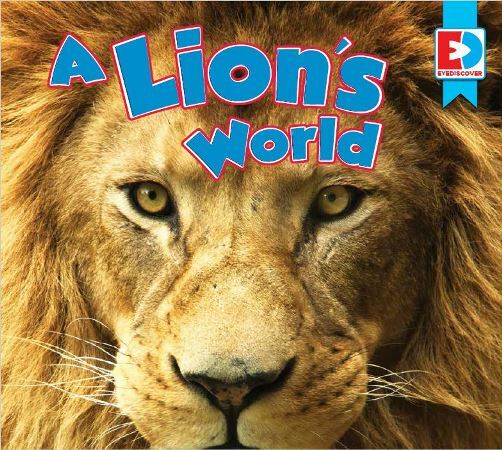 A Lion’s World belonging to our “EyeDiscover” series, intended for a K-2 interest range. This book was easy to read, full of bright colors that were eye-catching and just all around enjoyable for young children. It also gave a lot of simple but informative information for them to learn from. 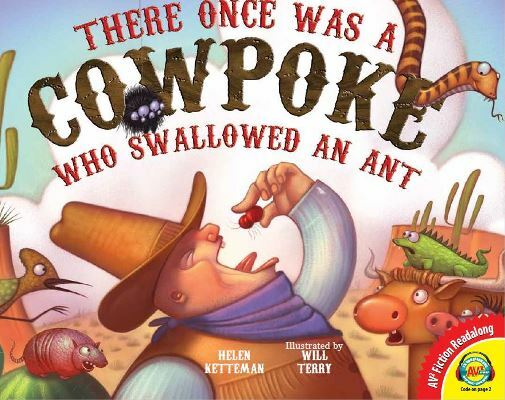 There Once Was a Cowpoke Who Swallowed an Ant, a fiction title, intended for a K-2 interest range. It was a fun and humorous story. The illustrations were very colorful and great for young children to enjoy. We really enjoyed these and you can learn more from this video on using these books for your students! I believe it will really be a fun and enjoyable experience for them. We hope that you will consider these books for your own child’s reading enjoyment! 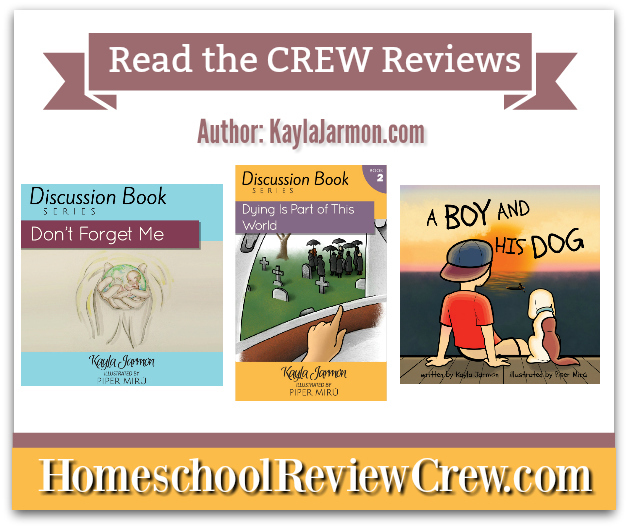 If you would like to learn more about what others thought of these books feel free to click on the picture below to be taken to more reviews by the Homeschool Review Crew. This entry was posted in Book Reviews, Homeschool, Homeschool Reviews, Reviews on May 5, 2018 by Linda Marie Finn. Over the last several weeks we have been using the book Heroes of History- Christopher Columbus from YWAM Publishing for studying history. 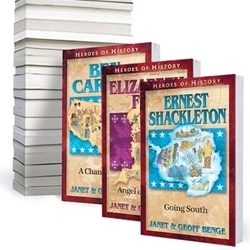 This is part of the bestselling biographies from the Heroes of History Series by Janet & Geoff Benge. This series came highly recommended by other families we know and is highly recommended for christian schools and those homeschooling. These books could also be used for family study on christian heritage. They can be read by teens, parents and grandparents , but can be read also to younger children. So what does a small town boy being raised in Genoa, by parents who were farmers of sheep being raised to be a weaver have to do with discovering the new world ? I am supposing that like every young boy Christopher , had a dream. This was one of the many things we learned while reading this book. 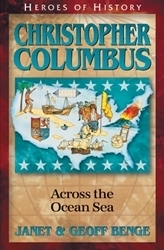 We learned so much about Christopher Columbus, things we never learned before. From his boyhood adventures and growing up into manhood and getting married. This was the exciting part missed in much of public school learning, this is why I am so glad we homeschool and can chose the books we want to use for our children to learn from. But wither you homeschool or your kids are in public school, this series can be used to enhance your child’s learning experience ! 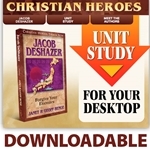 The Heroes of History Series is full of so many interesting Christian biographies of Heroes Then & Now ! Each one of a missionary or leader that was very influential in history. If you are looking for positive role models for your children, these books are wonderful. Each book comes with a downloadable Unit Study for you to use to enhance the learning experience. In the Unit Study you will find fun activities that are educational. The introduction will help you as the Parent/Teacher to know what you may chose to use. Understanding your child’s learning styles. Using this guide for group or individual study. Understanding grade levels or individual ability of your student/students. It is very through in helping you plan and decide based on the needs of your student and yourself. Key Quotes you can use for memorization, meaning and display purposes. Ideas for setting up a display area , to show what the students are learning, with things to include based on your study. You will also find Chapter Questions for each chapter with page noted for where to find the answers, this is excellent to use with the students to recall facts and quiz them on what they remember. There is a section on Student Explorations where you will find ideas for Essay Questions, Creative Writing , Hands on Projects, Audio/Visual Products and Arts & Crafts ! Also there is a section on Community links to help you find local, state or federal resources and places for field trips to enjoy. The Unit Study has words to use for vocabulary studies, as well as geographical terms and names for map studies in geography. Time Lines and Conceptual Questions. Related Themes to in Science, Current Issues, Geography, History and Math. A Section on Culminating Events, How to plan out something for the students to experience and show what they are learning or have learned. You may also like the Homeschool Overview for Unit Study Curriculum Guides for comparing time periods and planning your History Studies. 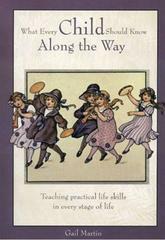 In the Start Here link you will find more fun and informative things in the information about the character you are reading about in your book, guides for small groups, classroom and homeschool. Links to the study guide, in our case part 1 & 2. A bonus section of puzzles , games and more fun ! A meet the authors section so you can get to know them and why they wrote these books. Reader Reviews on the book. For us there was so much to use and do. We decided to use the book it self for reading daily and doing some of the history study by following up with some books from our library. This is really a full study and can become very in depth for all involved. Even for those young through the adults teaching or studying along. 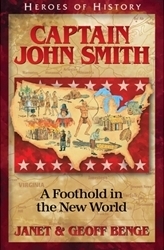 I think next we will be using John Smith: A Foothold in the New World, as it is next in the series and I want to continue our study of history and family heritage for my kids ! They are so exciting , not only for the kids but for me also ! I hope you will consider using these wonderful books in your own studies and if you would like to read more of what the Homeschool Review Crew thought of this and many other books in the series, click on the graphic below ! This entry was posted in Book Reviews, Historical Fiction, History, Homeschool, Homeschool Reviews, Reviews and tagged bestselling biographies, biographies for children, Christian biographies, Christian heroes, Christian Heroes: Then & Now, Hero biographies, Heroes of History, Then & Now, true biographies, YWAM Publishing on April 30, 2018 by Linda Marie Finn. The last several weeks we have been using Exploring Creation with Human Anatomy and Physiology, by Apologia. All about the human body for elementary grades. I have to say that I have been wanting to use Apologia for sometime and never got the chance until now and I am so glad we were chosen for this review ! Exploring Creation with Human Anatomy and Physiology Text: If you are looking for a Text that gives glory to God and teaches your children how each part of their body works inside them, this is an awesome book to study from. It is loaded with Lesson Plan ideas, Reading on Anatomy and Physiology, Projects & Experiments, Supply Lists and lots of colorful illustrations. Covering Topics from The History of Anatomy and Physiology, Basic Cells , RNA, DNA, The Skeletal System, The Muscular System, The Digestive & Renal Systems, Health & Nutrition, The Respiratory System, Life in the Blood, The Cardiovascular System, The Nervous & Endocrine System, More on the Nervous System, Your Senses, The Integument System, The Lymphatic & Immune System and Growth & Development. All of this is very in depth but presented in a way for young children to understand. 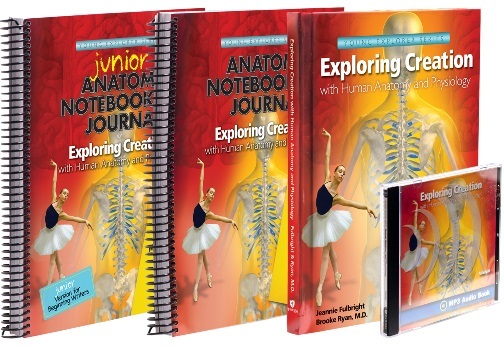 Exploring Creation with Human Anatomy and Physiology Junior Notebooking Journal: This notebooking journal is full of loads of activities for your younger children and could be used for children from grades K thru 4th grade. It has coloring pages, copywork in manuscript and cursive, some simple crosswords and lots of hands on things to do, to reinforce what is learned from the text, like Mini Books to put together on many of the topics being taught. Exploring Creation with Human Anatomy and Physiology Notebooking Journal: This Notebooking Journal we felt was going to be a good use for Daniel (10 years old ) when he is a little older. This could easily be used for Grades 5 thru 6 th or even older children or an adult if your learning as a family ! It has Similar activities but seems to have more advanced things like Vocabulary Crossword Puzzles, Scripture Copywork in Cursive and Many fun projects that also go with the lessons learned in the Text. Exploring Creation with Human Anatomy and Physiology MP3 Audio CD: This easy to use CD is great, as you can play it while you follow along with the reading of the author’s word from the Text. I found it to be a great resource. I usually follow along myself and I will tell you there are some things in here that I never learned when in school. It is easy to follow along with and if I need to Daniel could follow along and play the sections himself at age 10 ! It was nice to as it tells you when to do a project or when to do the Try This in the Text. So it is great for listening to at home or in the vehicle. You can use the Lesson Plans given in the text for you can take things at your own pace ! I wanted to share with you a few pages from the text. It is beautifully illustrated and loaded with knowledge, which makes it wonderful for the children to see and understand what we are learning about ! Our Science Time looks something like this, Listen and Read the sections for the day, Talk about what we are learning and do a couple projects from the text and the notebooking journal. Daniel and I spend this time together working through the Text and I am really enjoying all the things were learning. It has been educational for me as well. Suffice it to say my Science learning consisted of basic chemistry in 8th grade and then some simple Biology in 9th grade. Daniels Project ” My Body ” The beautiful overlays allow him to see just where the systems are in his body and how the body comes together as a whole. Doing this made it more personal for Daniel to learn of all the systems in the body. So far we have learned about the Skeletal System, the Muscular System, the Digestive and Renal Systems. I really think this would be great for Christian Schools, Home schools or anyone wanting to give their children a wonderful knowledge of Science from a biblical view. It is engaging and could be used by many grade levels. If you are teaching multiple grades and need something for Science or Health, this could be just the Series for you. It is easy to understand, simple to explain to the children, yet it teaches some very in depth concepts. You Can Find Apologia on Social ! If you would like to read more reviews about this please click the following link to be taken to reviews by the Review Crew ! This entry was posted in Book Reviews, Books on CD, Children, Elementary Science, Health and Wellness, Homeschool, Homeschool Reviews, Reviews and tagged Anatomy, Apologia, Creation, Esploring Creation with Human Anatomy and Physiology, human body for elementary grades, Physiology on April 16, 2018 by Linda Marie Finn. 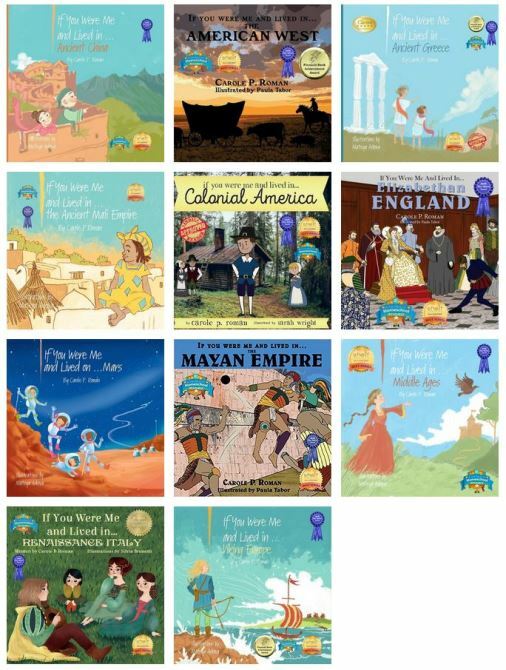 Since the children and I have been studying History, we were very excited to be chosen to review three of Carole P. Roman‘s books! We were asked to chose three that we thought we would really enjoy, we chose these books from Carole P. Roman books and collections. If You Were Me and Lived in Colonial America, If You Were Me and Lived in The American West, and If You Were Me and Lived in Elizabethan England . We hope you enjoy our little video we made to share the books we read ! These are not just some small reading books for little ones. These are books filled with a whole lot of information on each time period. They could be read to younger children ages 4 to 8 , but they make excellent books for advanced readers ages 9 to 15 year old. In If you were me and lived in Colonial America, you will learn about Puritans and Separatists, their differences and why they wanted to come to the new land. Learning about this and how government was set up in Colonial America, helped the children to see that rules were meant to help us live more peaceable lives and ensure everyone’s safety and survival. Reading about how their homes were built, what they ate and how they lived actually made the kids see that , they themselves have life really easy today. In If you were me and Lived in the American West , You will learn things like what kind of food you might eat on the Oregon Trail, the clothes you would wear in the American West, what your name might have been in the 19th century, and what children did for fun once their many chores were done. I think this gave the children a view into the time period from a child’s point of view. For us that was important as they viewed History as mundane and reading this gave them more understanding and made them realize that History is anything but boring ! In if you were me and Lived in Elizabethan England, We learned about the differences between living there today and living there over 400 years ago. What folks ate and the differences between that was eaten by the Rich and the Poor ! We also learned about what the differences in clothing were. Also what people did for work. The children got to see what it was like for others in another culture then our own. Yet it was a culture that some of our family heritage came from. Each book gives a rich history as well as people who influenced that era and told about them. The illustrations are very colorful and hold your attention as you look at each to see what is included in them. They are simple yet beautiful. Each book also includes a very nice sized glossary in them, one that could be used for Spelling and Vocabulary lessons if one wished to. 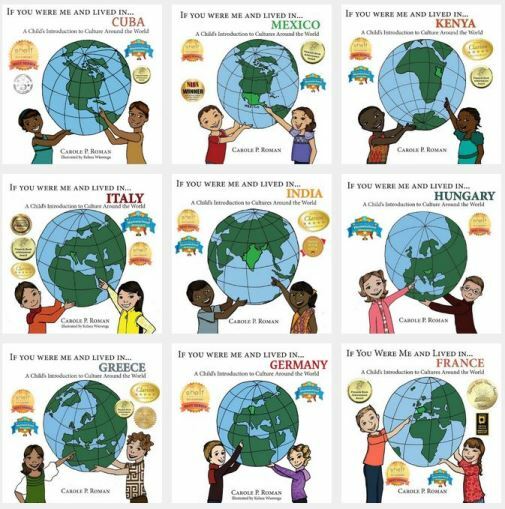 We personally loved Carole’s books and I feel as a homeschooling mom that they really enriched our studies by giving us more understanding of our heritage and the lives of others. They are a fun and exciting way to add value to your studying or just reading for fun ! I like the way Carole writes so that the content covered is presented in a easy way for children to understand the historical era being talked about in her books. Although my teen girls thought Colonial America was a bit on the little kids picture wise, I still feel it portrayed the content desired being taught. My Ten year old son thought they were great and as you can see in the video he enjoyed reading them to me and hearing them read to him. I hope you will consider giving these books we read and other books Carole has written a place in the lives of your children. 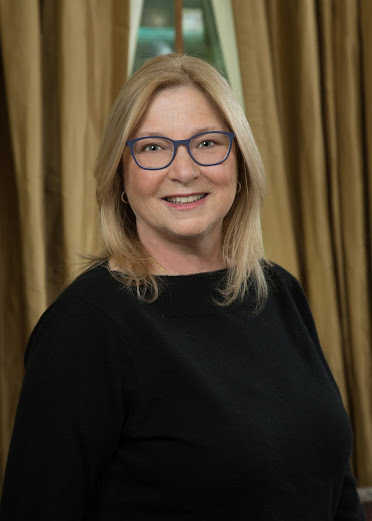 Carole P. Roman is the award-winning author of over fifty children’s books. 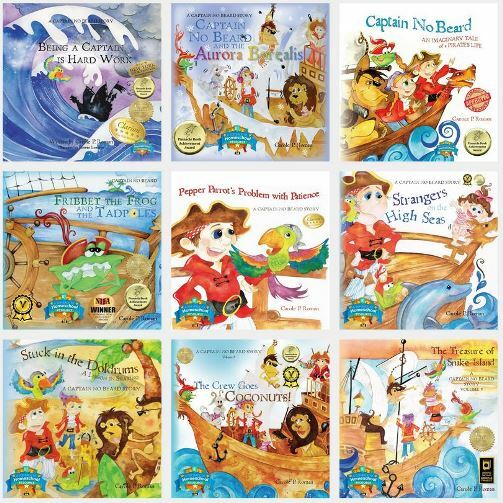 Whether it’s pirates, princesses, or discovering the world around us, her books have enchanted educators, parents, and her diverse audience of children. She hosts two blog radio programs and is one of the founders of a new magazine, Indie Author’s Monthly. She’s been interviewed twice by Forbes Magazine. Carole has co-authored a self-help book, Navigating Indieworld: A Beginners Guide to Self-Publishing and Marketing. Oh Susannah is her first Early Reader Chapter book series. She lives on Long Island with her husband and near her children and grandchildren. Couldn’t Resist I purchased this one !!! If you would like to hear what the Crew had to say about the other books read and reviewed, click below ! This entry was posted in Authors, Book Reviews, Carole P. Roman, Homeschool, Homeschool Reviews, Reviews, Uncategorized and tagged Captain No Beard, Carole P. Roman, Chapter Books, Childrens Books, Culture, History, Space on March 26, 2018 by Linda Marie Finn. 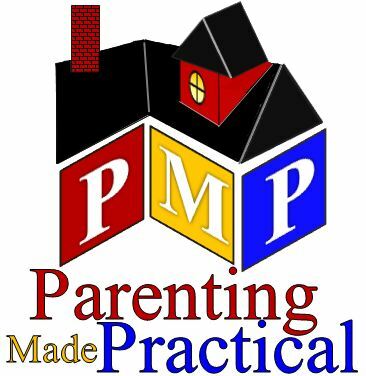 I am happy to be sharing with you today about Taming the Lecture Bug and Getting Your Kids to Think (book) (for parents of kids ages 8-high school) by Parenting Made Practical. For this review I was sent the book and the DVD ( 53 minutes) . This is really a training that can be for the whole family and surely one that you want to pass down to your children so they can also train their children in the right ways. I am reading the book still, I will be honest and let you know that I watched the DVD first ! The book for me allowed me to be able to read it and go back again to what was shared in the DVD. Since I am a note taker, I will be writing down notes in my copy of the book also. The book gave me more Bible verses and more information at my finger tips so that I can even add tabs if I want to and have easy reference to areas I want to find again to refresh my memory from time to time. It also covered more areas then the DVD, so that I had more examples to learn from. Because each child is an individual and has a unique temperament , I can go back and read the character of each and really cement into my mind just what I am dealing with and what I am up against. I really had not ever thought about Temperament that my child is born with that doesn’t change vs my child’s personality that can be changed and worked on with guidance from us as parents. Sometimes the hardest part, is getting the child to own their behavior and the consequences of it and this is dealt with in a very understandable way. I am not sure about you but when I am learning something I like to take notes and while watching the DVD, I took 3 pages front and back of notes on what was being taught and shared in this Video of Taming the Lecture Bug and getting your kids to think. During this 53 minute course, I stopped and stared it many times just to take notes and think about things that were of importance to me. 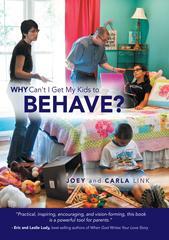 I really enjoyed the fun way that Joey and Carla shared their experiences and those of others they knew. It made it fun and yet if your having issues with your teens ( like most of us do), it will really hit home like it did on many points for me. The Bible verses and the things shared were really point on ! I feel like I have the knowledge now to try to retrain my kids without lecturing them all the time. I also know now why I shouldn’t lecture all the time, but I know how to ask questions to learn what I need to know as you are parenting , to deal with heart issues my kids are having each day. I also learned just how important it is when training our children about repentance , forgiveness and restoration instead of just accepting a pat little ” I’m Sorry ” and going on without seeing heart change in my children and causing them to do some thinking about what is really going on with them. I really learned a lot from Joey and Carla and I hope that you will consider getting this set if you are experiencing training and obedience issues with your children. 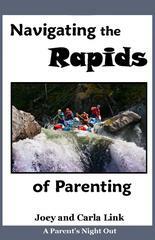 The Homeschool Review Crew reviewed this book and several other products from Parenting Made Practical, such as Navigating the Rapids of Parenting DVD, Dating, Courting and Choosing a Mate…What Works? DVD and Workbooks, What Every Child Should Know Along the Way and Taming the Lecture Bug and Getting Your Kids to Think BOOK and DVD like I did. If any of these sound of interest to you and you would like to see the other reviews, click on this picture below ! 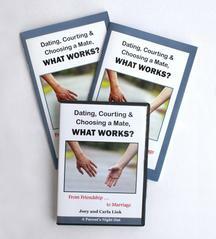 This entry was posted in Book Reviews, DVD, DVD Reviews, Parenting, Reviews and tagged Behavior, Book, Character, Dads, DVD, Family, Forgiveness, Love, Moms, Obedience, Parenting, Personality, Rebellious Teens, Repentance, Restoration, Taming the Lecture Bug, Temperament, Thinking, Training on March 13, 2018 by Linda Marie Finn.